Melbourne Bitter is now on tap at a curious selection of venues in Melbourne, Adelaide, Canberra and Darwin after news broke of its draught launch in May. The move has met with adulation from the 1600 members of a Facebook group that have been calling for it since 2011, in a similar phenomenon to Pabst Blue Ribbon’s revival as the hipster’s beer of choice in the US, where it more than doubled its sales in the past decade. Melbourne Bitter’s tap debut was not accompanied with the usual press release and fanfare that would typically herald such a momentous development for a beer that has only ever been available in cans and bottles since its inception in 1936. This suggests that Carlton & United Breweries recognises that the brand’s appeal lies in the fact that it has flown under the radar for many years and drinkers are comfortable in having embraced it without the influence of a major marketing campaign. “At this stage it’s in around 40 venues, and we are working with our customers to make sure it’s the right beer for a venue, its drinkers and existing brands,” a Carlton & United Breweries spokeswoman said. 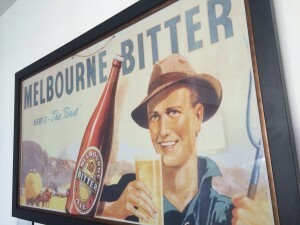 melbourne bitter has certainly been around long before 1936 (no idea where you got that date from) it was being brewed by melbourne co-op brewery before the merge with cub in the 1920s. Melbourne Bitter is also on tap at the world famous Humpty Doo Hotel in the NT! I was caught out asking for a Coopers green only to find MB had replaced it. It’s definitely not the worst beer and better than that VB muck, if only by a small percentage. Jack is right. Pls get your facts right rather than promote an over priced repositioned hipster rip off beer from Cub. This is a wanky reposition of another CUB adjunct lager to smack small brewers in the face, especially in Brunswick Victoria. 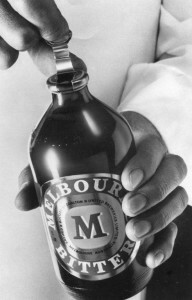 Melbourne Bitter was Melbourne Co Op breweries until CUB took them over in 1920’s. It once was an ale . Now a lager …brewed and bottles of the same liquid as all the other CUB beers. Sad. Overpriced. Attack brand. Grant is correct in that MB is from the same base recipe as VB, Fosters Classic (just water it down more) etc. However they do “dress” it differently with some surprisingly fragrant hop extracts and for some reason it doesn’t have the mouse-piss twang of VB. As a session beer I’d go for it in a non-craft pub if it were on tap in NSW. As for the Northern Territory, when I was in Alice Springs MB was big in tinnies which surprised me.